2C-B or 2,5-dimethoxy-4-bromophenethylamine is a psychedelic drug of the 2C family. It was first synthesized by Alexander Shulgin in 1974. In Shulgin's book PiHKAL, the dosage range is listed as 12–24 mg. 2C-B is sold as a white powder sometimes pressed in tablets or gel caps and is also referred to by a number of other names. The drug is usually taken orally, but can also be insufflated or vaporized. 2C-B was synthesized from 2,5-dimethoxybenzaldehyde by Alexander Shulgin in 1974. It first saw use among the psychiatric community as an aid during therapy. It was considered one of the best drugs for this purpose because of its short duration, relative absence of side effects, and comparably mild nature. Shortly after becoming popular in the medical community, it became popular recreationally. 2C-B was first sold commercially as an aphrodisiac under the trade name "Erox", which was manufactured by the German pharmaceutical company Drittewelle. For several years, it was available as tablets in Dutch smart shops under the name "Nexus". Internationally, 2C-B is a Schedule II drug under the Convention on Psychotropic Substances. In the Netherlands, 2C-B became a list I substance of the Opium Law despite no health incidents occurring. Following the ban, other phenethylamines were sold in place of 2C-B until the Netherlands became the first country in the world to ban 2C-I, 2C-T-2 and 2C-T-7 alongside 2C-B. In the United States, a notice of proposed rulemaking published on December 20, 1994 in the Federal Register and after a review of relevant data, the Deputy Administrator of the Drug Enforcement Administration (DEA) proposed to place 4-bromo-2,5-DMPEA into Schedule I, making 2C-B illegal in the United States. This became permanent law on July 2, 1995. 2C-B first became popularized in the United States as a short-lived legal substitute for the street drug Ecstasy when MDMA became illegal in 1985. Many 2C-B users are young adults who attend raves. Though 2C-B is still used in the rave subculture, commonly mistaken for and/or sold as Ecstasy, its intentional use has become more common. In recent years, 2C-B has emerged as the drug of choice for club drug users in Colombia. Street prices range between $10 and $30 per tablet in the United States when bought in small quantities. Larger retail purchases cost between $200 and $500 per gram. Wholesale purchases of 2C-B can lower the price to a range of $100 to $300 per gram. The September 1998 Journal of Analytical Toxicology reported that very little data exists about the pharmacological properties, metabolism, and toxicity of 2C-B. The relationship between its use and death are unknown. The common oral recreational dose is around 15–25 mg, at which visual and auditory effects are experienced. Severe adverse reactions are extremely rare, but use of 2C-B has been linked to significant injury in one case where the dosage is unknown, and the purity/identity of the chemical was not verified. The lethal dosage is unknown. It was reported in PiHKAL, by Alexander Shulgin, that a psychologist had accidentally taken a 100 mg dose orally without apparent harm. When sold as "Ecstasy", tablets containing 2C-B often contain about 5 mg of the drug, an amount which produces stimulatory effects that mimic the effects of MDMA; in contrast, tablets marketed as 2C-B have larger quantities of the drug (10–20 mg) which cause hallucinogenic effects. Street purity of 2C-B, when tested, has been found to be relatively high. Researchers in Spain found that 2C-B samples in the country doubled between 2006 and 2009, switched from primarily powder form to tablets, and exhibited "low falsification rates". An analysis of street samples in the Netherlands found impurities "in small percentages"; only one of the impurities, the N-acetyl derivative of 2C-B, could be identified and comprised 1.3% of the sample. The authors suggested that this compound was a by-product of 2C-B synthesis. Little or no academic research has been conducted on the effects of 2C-B in humans. The information available is largely anecdotal and limited. Effects are often described as being more easily managed than other psychedelics; it is often compared to a mixture of a serotonergic psychedelic and MDMA. At 5–10 mg, experiments with young chickens have shown it to produce effects similar to a low dosage of amphetamines. At low doses the experience may shift in intensity from engaging to mild/undetectable. Experienced users report the ability to take control of the effects and switch from engaged to sober at will. The hallucinations have a tendency to decrease and then increase in intensity, giving the users a sense of “waves” or even glowing. These are popularly described as “clichéd ’70s visuals” or objects taking on "water color" like textures. While the effects of the drug often render users unable to concentrate deeply on anything in particular, some can become engrossed in an activity such as watching a movie or playing a video game, distracting themselves from the visual and auditory effects of the drug. Excessive giggling or smiling is common, as is a tendency for deeper “belly laughs”. Some users say that the effects are more intense when listening to music and report that they can see sounds and noises. Some users experience a decrease in visual acuity, although others report sharper vision. Increased awareness of one’s body; attention may be brought to perceived "imperfections" or internal body processes. Open eye visuals (OEVs), such as cartoon-like distortions and red or green halos around objects. Closed eye visuals (CEVs) are more common than OEVs. Onset time of 2C-B is highly dose dependent, but usually from 45 to 75 minutes. Taken on a full stomach, the onset time is increased to two hours or more. Before it was scheduled, 2C-B was sold in small doses as an aphrodisiac (see History). Some users report aphrodisiac effects at lower doses. Some users report mild "jitters" (body tremors), shuddering breath, and/or mild muscle spasms after insufflating 2C-B. Whether or not these effects are enjoyable depends on the user. Mild to intense diarrhea, gas, nausea, and general gastrointestinal discomfort. Severe headaches after coming down from large doses have been reported. However, many users report a lack of "comedown" or "crash", instead noting a gradual return to sobriety. At doses over 30–40 mg the user may experience frightening hallucinations, as well as tachycardia, hypertension, and hyperthermia. 2C-B is very painful to insufflate. When orally consumed, 2C-B has a much longer delay before the onset of effects than when it is insufflated. Oral ingestion generally takes roughly 45–75 minutes for the effects to be felt, plateau lasts 2–4 hours, and coming down lasts 1–2 hours. Rectal administration ("plugged") onset varies from 5–20 minutes. Insufflated onset takes 1–10 minutes for effects to be felt. The duration can last from 4 to 12 hours depending on ROA, dose, and other factors. With insufflation the effects are more abrupt and intense but have a significantly shorter duration, while oral usage results in a milder, longer experience. When insufflated, the onset happens very rapidly, usually reaching the peak at about 20–40 minutes and plateauing for 2–3 hours. 2C-B is also considered one of the most painful drugs to insufflate, with users reporting intense nasal burning lasting as long as 30 minutes. The sudden intensity of the experience combined with the pain can often start the experience with a negative imprint and nausea is also increased with insufflation, compounding the issue. Unlike most hallucinogens, 2C-B has been shown to be a low efficacy serotonin 5-HT2A receptor partial agonist or even full antagonist. This suggests that the 5-HT2C receptor is primarily responsible for mediating the effects experienced by users of 2C-B, although functional antagonism of 5-HT2A or activation of the 5-HT2A-coupled phospholipase D pathway may also play a role. The rank order of 5-HT2A receptor antagonist potency for this family of drugs is 2C-I > 2C-B > 2C-D > 2C-H.
Research suggests that 2C-B increases dopamine levels in the brains of rats, which may contribute to its psychoactivity. 2C-B has been shown to be metabolized by liver hepatocytes resulting in deamination and demethylation that produces several products. Oxidative deamination results in the 2-(4-bromo-2,5-dimethoxyphenyl)-ethanol (BDMPE) and 4-bromo-2,5-dimethoxyphenylacetic acid (BDMPAA) metabolites. Additionally, 4-bromo-2,5-dimethoxybenzoic acid (BDMBA) can be produced also by oxidative deamination. Further metabolism of BDMPE and BDMPAA may occur by demethylation. Alternatively, the later metabolites can be generated by demethylation of 2C-B followed by oxidative deamination. There is species differentiation in the metabolism of 2C-B. Mice hepatocytes produce 4-bromo-2,5-dimethoxy-phenol (BDMP) a previously unknown metabolite. 2-(4-bromo-2-hydroxy-5-methoxyphenyl)-ethanol (B-2-HMPE) was produced by hepatocytes from human, monkey and rabbit but not by dog, rat and mouse. 2C-B also reduces aggressor responses in drugged rats. A variety of N-substituted derivatives of 2C-B have been tested, including N-methyl-2CB, N,N-dimethyl-2CB, N-ethyl-2CB and N-benzyl-2CB. Most simple alkyl derivatives were considerably less potent than 2C-B, with N-ethyl-2CB for instance having around 40× lower affinity at the 5-HT2A receptor. The N-benzyl derivative however was found to have higher binding affinity than 2C-B itself, with N-(4-bromobenzyl)-2CB binding even more tightly again. This initial research did not include functional assays of activity, but later led to the development of potent substituted N-benzyl derivatives such as 25B-NBOMe. 2C-B is used as entheogen by the Sangoma, Nyanga, and Amagqirha people over their traditional plants; they refer to the chemical as Ubulawu Nomathotholo, which roughly translates to "Medicine of the Singing Ancestors". The UN Commission on Narcotic Drugs added 2C-B to Schedule II of the Convention on Psychotropic Substances in March 2001. LSD, psilocybin, and mescaline are in the more restrictive Schedule I. 2C-B is scheduled as a drug in most jurisdictions. The following is a partial list of territories where the substance has been scheduled. 2C-B is controlled under the List 1, as well as other substances like 2C-I or 2C-T-2. 2C-B is controlled in Australia and on the list of substances subject to import and export controls (Appendix B:). It was placed on Schedule One of the Drugs Misuse and Trafficking Act when it first came to notice in 1994, when in a showcase legal battle chemist R. Simpson was charged with manufacturing the substance in Sydney NSW. Alexander Shulgin came to Australia to testify on behalf of the defense to no avail. 2C-B is not specifically listed in the Australia Poisons Standard (October 2015), however other drugs such as 2C-T-2 and 2C-I are making 2C-B fall under the Australian analogue act. In Brazil, 2C-B is a controlled substance making production, distribution, and possession illegal. 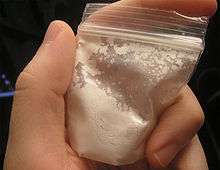 In Belgium, 2C-B is a controlled substance making production, distribution, and possession illegal. In Canada, 2C-B is classified under CDSA Schedule III as "4-Bromo-2,5-dimethoxybenzeneethanamine and any salt, isomer or salt of isomer thereof". 2C-B has been rescheduled (Schedule III), in a new amendment, taking effect on October 31, 2016. This is to include the other 2C-x analogues. In Denmark, 2C-B is listed as a category B drug. In Estonia, 2C-B is classified as Schedule I. In Germany, 2C-B is controlled in the Betäubungsmittelgesetz (BtMG) Anlage I as "Bromdimethoxyphenethylamin" (BDMPEA). In Japan, 2C-B was scheduled in 1998. It was previously marketed as "Performax". In the Netherlands, 2C-B was scheduled on July 9, 1997. In Norway, 2C-B was classified as Schedule II on March 22, 2004, listed as 4-bromo-2,5-dimethoxyphenethylamine. 2C-B is schedule I (I-P group) in Poland. In Spain, 2C-B was added to Category 2 prohibited substances in 2002. 2C-B was classified as Schedule I in Sweden on June 1, 2002. 2C-B was first classified as "health hazard" under the act Lagen om förbud mot vissa hälsofarliga varor (translated Act on the Prohibition of Certain Goods Dangerous to Health) as of April 1, 1999 under SFS 1999:58 that made it illegal to sell or possess. Then it became schedule I as of June 1, 2002, publicated in LVFS 2002:4 but mislabeled "2-CB" in the document. However, this was corrected in a new document, LVFS 2009:22 effective December 9, 2009. In Switzerland, 2-CB is listed in Anhang D of the DetMV and is illegal to possess. All drugs in the 2C family are Class A under the 1971 Misuse of Drugs Act which means they are illegal to produce, supply or possess. Possession carries a maximum sentence of seven years imprisonment while supply is punishable by life imprisonment and an unlimited fine. In the United States, 2C-B is classified as CSA Schedule I Section (d) Subsection (3) 4-Bromo-2,5-dimethoxyphenethylamine. 1 2 3 "2C-B Street Names" (PDF). February 1, 2011. Archived from the original (PDF) on October 16, 2012. Retrieved 2012-09-28. 1 2 3 "Erowid 2C-B Vault: Effects". Erowid. Retrieved 2013-09-25. 1 2 3 "2C-B (Nexus) Reappears on the Club Drug Scene" (PDF). National Drug Intelligence Center. Department of Justice. May 2001. Retrieved 11 February 2013. ↑ "Drittewelle 2C-B Packaging". Erowid.org. 2002. Retrieved 25 September 2013. ↑ "List of psychotropic substances under international control" (PDF). Archived (PDF) from the original on 2 March 2007. Retrieved 2007-03-30. ↑ "Schedules of Controlled Substances; Proposed Placement of 4-bromo-2,5-dimethoxyphenethylamine into Schedule I" (PDF). Federal Register. 59 (243): 65521. 20 December 1994. Retrieved 2013-09-26. 1 2 Pachico, Elyssa (1 November 2012). "'2CB Now Drug of Choice for Colombia Elite'". InSight Crime. Retrieved 11 February 2013. ↑ Gahlinger, Paul (2004). Illegal Drugs: A Complete Guide to Their History, Chemistry, Use and Abuse. Penguin. pp. 343–344. ISBN 9780452285057. ↑ "Erowid 2C-B Vault : Dose/Dosage". ↑ Ambrose JB, Bennett HD, Lee HS, Josephson SA (May 2010). "Cerebral vasculopathy after 4-bromo-2,5-dimethoxyphenethylamine ingestion". The Neurologist. 16 (3): 199–202. doi:10.1097/NRL.0b013e3181a3cb53. PMID 20445431. 1 2 "Shulgin, A (1991) PIHKAL". Erowid.org. Retrieved May 15, 2012. 1 2 De Boer, D.; Gijzels, M. J.; Bosman, I. J.; Maes, R. A. A. (1999). "More Data About the New Psychoactive Drug 2C-B". Journal of Analytical Toxicology. 23 (3): 227–228. doi:10.1093/jat/23.3.227. PMID 10369336. ↑ Cole; et al. (October 2002). "4-Bromo-2,5-dimethoxyphenethylamine (2C-B): a review of the public domain literature". Science and Justice. 42 (4): 223–224. doi:10.1016/S1355-0306(02)71832-7. PMID 12632938. Retrieved 16 August 2012. 1 2 Caudevilla-Galligo, F.; Riba, J.; Ventura, M.; González, D.; Farré, M.; Barbanoj, M. J.; Bouso, J. C. (2012). "4-Bromo-2,5-dimethoxyphenethylamine (2C-B): Presence in the recreational drug market in Spain, pattern of use and subjective effects". Journal of Psychopharmacology. 26 (7): 1026–1035. doi:10.1177/0269881111431752. PMID 22234927. 1 2 "Erowid 2C-B Vault: Basics". Erowid. 2011-02-20. Retrieved 2013-09-25. 1 2 "Drugscope: 2C-B". Drugscope. Jan 2004. Retrieved 2013-09-25. ↑ "2C-B - Dancesafe.org". Dancesafe. Retrieved 2013-09-25. ↑ Bronson ME, Jiang W, DeRuiter J, Clark CR (1995). "A behavioral comparison of Nexus, cathinone, BDB, and MDA". Pharmacol. Biochem. Behav. 51 (2–3): 473–5. doi:10.1016/0091-3057(95)00013-M. PMID 7667371. 1 2 3 Carmo, H.; Hengstler, J. G.; De Boer, D. D.; et al. (2005). "Metabolic pathways of 4-bromo-2,5-dimethoxyphenethylamine (2C-B): Analysis of phase I metabolism with hepatocytes of six species including human". Toxicology. 206 (1): 75–89. doi:10.1016/j.tox.2004.07.004. PMID 15590110. ↑ Cole, Krystle. "Neurosoup: 2C-B". Neurosoup.com. Retrieved 2013-10-17. 1 2 Moya, PR; et al. (2007). "Functional selectivity of hallucinogenic phenethylamine and phenylisopropylamine derivatives at human 5-hydroxytryptamine (5-HT)2A and 5-HT2C receptors". The Journal of Pharmacology and Experimental Therapeutics. 321 (3): 1054–61. doi:10.1124/jpet.106.117507. PMID 17337633. 1 2 Villalobos CA; et al. (April 2004). "4-Bromo-2,5-dimethoxyphenethylamine (2C-B) and structurally related phenylethylamines are potent 5-HT2A receptor antagonists in Xenopus laevis oocytes". Br. J. Pharmacol. 141 (7): 1167–74. doi:10.1038/sj.bjp.0705722. PMC 1574890 . PMID 15006903. ↑ Páleníček, T. Š.; Fujáková, M.; et al. (2012). "Behavioral, neurochemical and pharmaco-EEG profiles of the psychedelic drug 4-bromo-2,5-dimethoxyphenethylamine (2C-B) in rats". Psychopharmacology. 225 (1): 75–93. doi:10.1007/s00213-012-2797-7. PMID 22842791. ↑ Muehlenkamp F, Lucion A, Vogel WH (April 1995). "Effects of selective serotonergic agonists on aggressive behavior in rats". Pharmacol. Biochem. Behav. 50 (4): 671–4. doi:10.1016/0091-3057(95)00351-7. PMID 7617717. ↑ Glennon RA; et al. (June 1994). "Influence of amine substituents on 5-HT2A versus 5-HT2C binding of phenylalkyl- and indolylalkylamines". Journal of Medicinal Chemistry. 37 (13): 1929–35. doi:10.1021/jm00039a004. PMID 8027974. ↑ Heim, Ralf (March 19, 2004). Synthese und Pharmakologie potenter 5-HT2A-Rezeptoragonisten mit N-2-Methoxybenzyl-Partialstruktur: Entwicklung eines neuen Struktur-Wirkungskonzepts [Synthesis and pharmacology of potent 5-HT2A receptor agonists which have a partial N-2-methoxybenzyl structure: Development of a new structure-activity concept] (Thesis) (in German). Free University of Berlin. Retrieved August 1, 2014. ↑ "2CB chosen over traditional entheogen's by South African healers.". Tacethno.com. 2008-03-27. Retrieved May 15, 2012. ↑ "Last Argentina Controlled Drugs List" (PDF). Retrieved May 15, 2012. ↑ "Bekendtgørelse om euforiserende stoffer" (in Danish). 2008-07-01. Retrieved 2013-10-01. ↑ "Italy Drug Schedule (Tabella I)". ↑ "Förordning (1999:58) om förbud mot vissa hälsofarliga varo" (in Swedish). 1999-02-25. Retrieved 2013-10-01. ↑ "Verzeichnis aller betäubungsmittelhaltigen Stoffe" [Directory of all narcotics-containing substances] (PDF). Swissmedic (in German). Swiss Agency for Therapeutic Products. 2011-08-18. p. 2. Retrieved 2013-11-30. ↑ "BBC - Advice - 2CB". BBC. Retrieved 2013-10-01.